Have you been on the internet in the last couple of years? Have you heard of the “popular” Doge meme? If you have ever thought to yourself, “I want this meme in my video games”, then you are in for a treat! This is the mod for you! This is the Doge Mod for Minecraft. This mod brings you a new Doge mob, Armor and Tools and much more! Such Doge, much armor. If you like memes inside your Minecraft games, be sure to download and install Doge Mod for Minecraft today! This mod adds a ton of Doge to the game, also known as Shibe dogs. 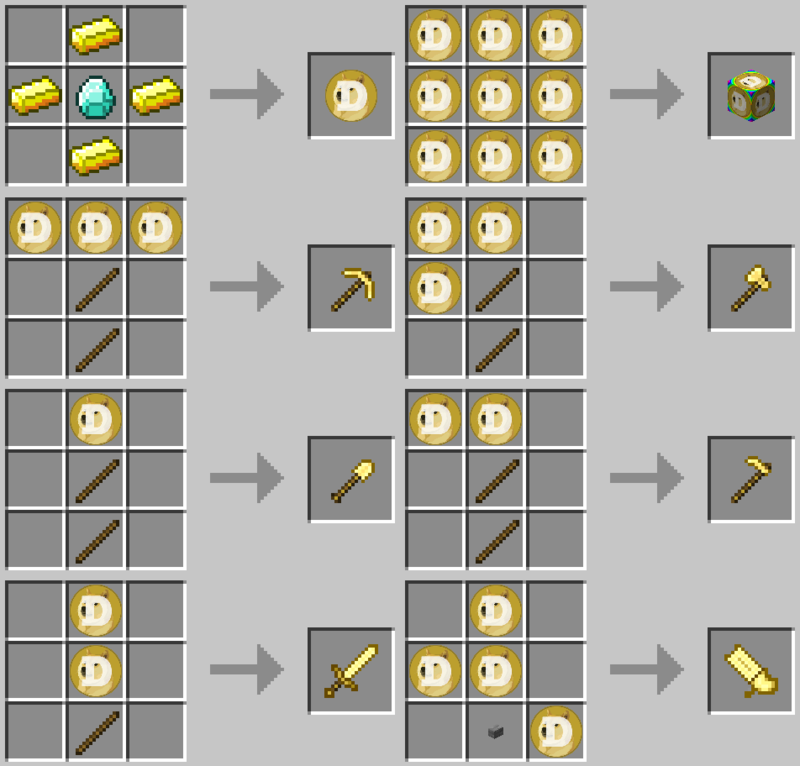 Full set of Doge tools, double the power but half the durability of diamond. Dogecoin that can turn any mob into a Shibe. Doge Launcher fires Dogecoins as projectiles. GPU minds blocks with chance of Doge. New blocks and mining rigs. If you like Doge or even think that Shibes are really cute, this is a mod that will certainly please you. For anyone who isn’t a massive fan of the Doge meme, this might be quite obnoxious. Make Shibes spawn in forests and plains. Added more settings to a config file.